José Ramos has been documenting Naval Aviation since 1988 at the young age of 18. His first published work appeared in The Hook in 1989 and since then, his images have been seen all over the globe in various magazines and other publications. Earning his NATOPS qualifications for flight with the US Navy in 1997, José has flown in almost every tactical aircraft in their inventory, many times at the request of the Navy itself. 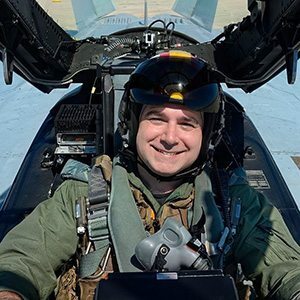 He has logged time in such high performance aircraft as the F-14B Tomcat, the F/A-18B, D & F Hornet / Super Hornet, S-3B Viking, the EA-6B Prowler, F-5F Tiger II, T-33 Shooting Star, Aermacchi MB.339, the Aero L-39 Albatross and a wide variety of warbirds. He also represents Nikon Professional Services at events across the US on a freelance basis, was a keynote speaker on aviation photography for Nikon at the 2009 COMFOT Expo in Mexico City, Mexico, guest speaker at the 2012 International Society for Aviation Photography symposium in Norfolk, VA, as well as a speaker on Military Aviation photography at the 2013 Photoshop World Expo in Orlando, Florida. Jose currently serves as contributing photographer and writer to The Hook and PilotMag, is the Photographer in Residence at the Sun ‘n Fun International Expo & Fly-In in Lakeland, FL, the official photographer for The Black Diamond Jet Team, Draken International and is an honorary member of the U.S. Navy’s Fighter Squadron Composite One-Eleven, the Sun Downers, at Naval Air Station Key West. To view more of his work, please visit www.ramosaviationphotos.com.